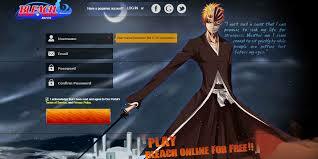 Bleach Online is the latest in a very long line of browser based MMORPG’s to hit our computer screens and is based on the hugely popular manga cartoon called ‘Bleach’. The main character in that show is a Japanese high school student who has a special ability to be able to see ghosts. 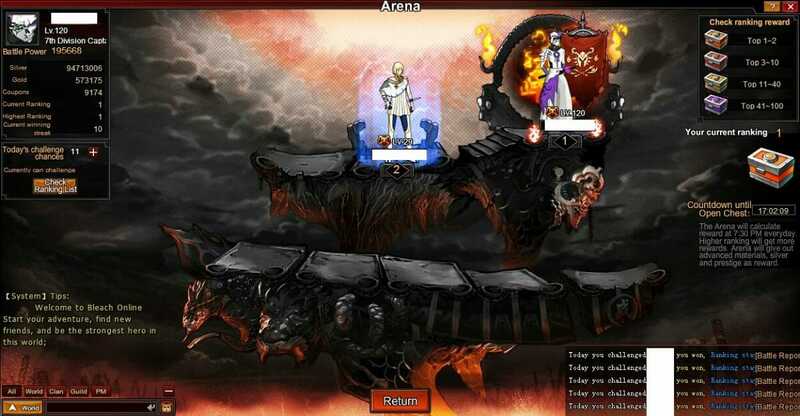 The game runs directly through the browser so requires no download and it brings you straight into the storyline as soon as you have logged in. However, if you are not a fan of this Japanese manga, you may find it difficult to connect with the various characters as not too much is said about them. There seems to be a trend among these Asian styled and developed MMORPG’s where there is very little control over the combat scenes. After powering up your heroes and selecting those that will go to battle, that is as far as it goes as the battle is played out right in front of you in a fully automated fashion. When you are not fighting, you are tasked with improving the power of your party in order to be able to compete against bigger and better opponents and enemies. 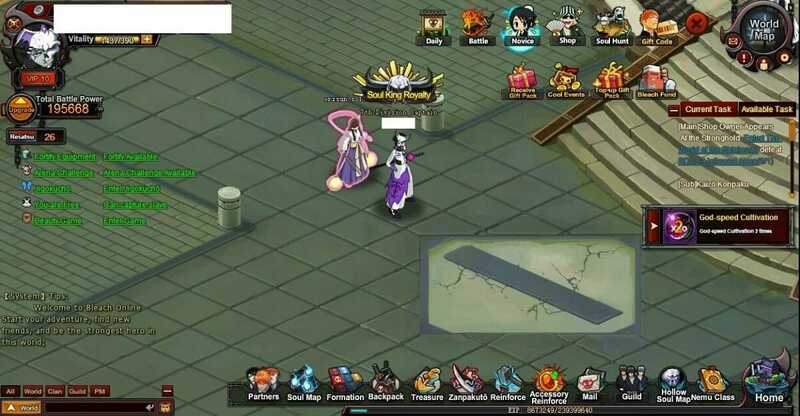 You can challenge either NPC or other players through PvP. You can also equip the heroes in your party with new and improved weapons that you collect and unlock along the way to give them even more power on the battlefield. One big focus of this game seems to be in rewarding players that play regularly and consistently with gifts. There are daily bonuses, bonuses for players that level up, rewards for winning battles, completing challenges and many more that we simply do not have time to list. For those of you that are looking for some shortcuts throughout the game, there is of course a VIP system that allows you to pick up some perks for your real money. These include earning extra XP, discounts on the many spirit stones and lots of speed ups with relation to upgrading items and skills. Graphically the game seems to hold up fairly well, with the manga anime styling offering a smooth experience whenever you move your characters around. What does spoil the game a little is the sheer amount of icons scattered around the screen. There are so many that it is hard to actually see what is going on a lot of the time. Even when put into full screen mode, you had very little viewing space. This is another major drawback of Bleach Online, simply because unless you are an avid fan of Bleach you will not ‘get it’. Not enough has been done to educate those that are unfamiliar with the franchise on what this is all about. There needs to be a bit more of a background storyline to give everybody the chance to learn about Bleach and his abilities. This is certainly going to be one of those games that you either love or hate and no room for anything in the middle. 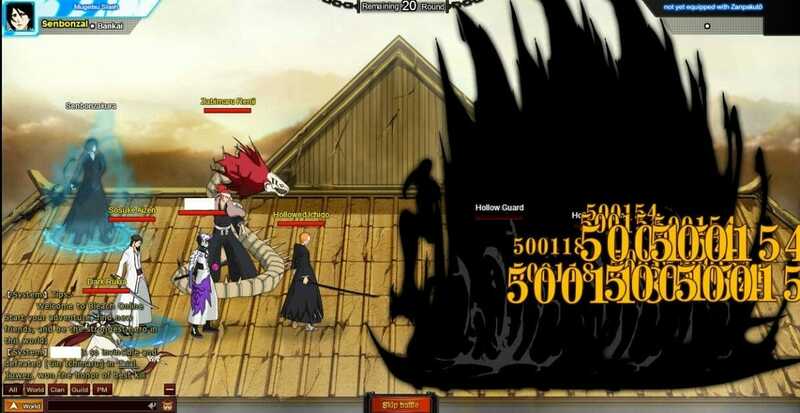 The game is far from unique with many other fantasy styled MMORPG’s currently doing well on the market, so it seems they have hoped that the Bleach connection will do enough to draw in the players. The problem with this is that unless you are Japanese and a fan of anime, you might not have even heard of the character. • Smooth graphics and decent artwork. • Plenty of rewards for continued play. 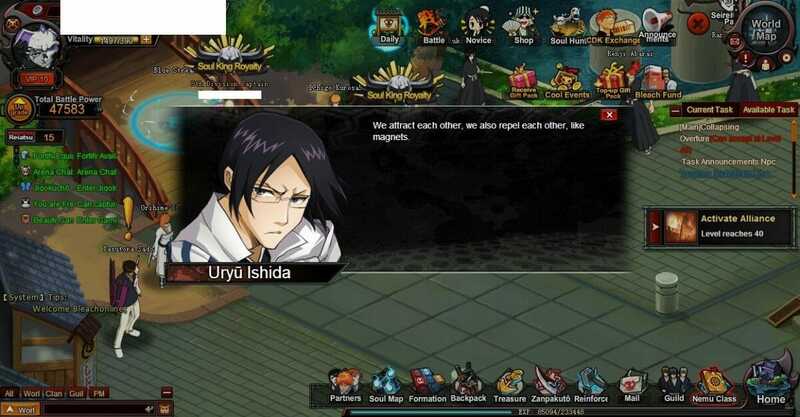 The game is far from unique with many other fantasy styled MMORPG’s currently doing well on the market, so it seems they have hoped that the Bleach connection will do enough to draw in the players.